At £70,000 (again, you DID read it right) for a pair, I can safely state the House of Borgenzie platinum Cleopatra stilettos will never be the object of my desire. For a metal shoe, I wonder how comfortable it can actually be?! Having said that, the shape is pretty, although I really don’t like that BORGEZIE is written across the heel and strap (which is much more visible on the gold version). This is what I think Cinderella’s crystal slippers could’ve looked like if they were sandals (minus the letters – maybe have it to spell CINDERS? 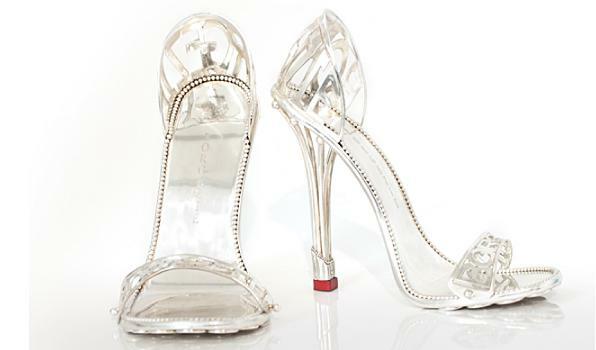 ), although I much prefer Christian Louboutin’s version of said slippers! 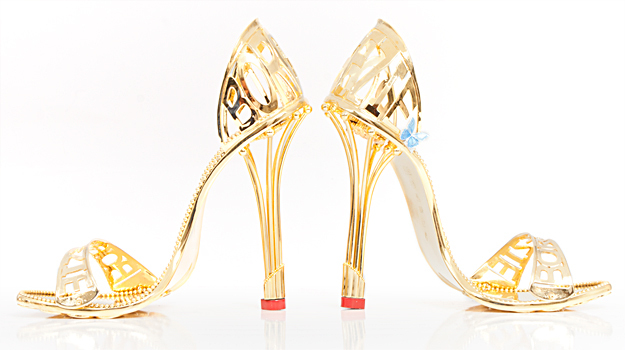 The House of Borgezie is also behind the Eternal Borgezie Diamond Stiletto. And wait for it – encrusted with an astounding 2,200 diamonds, with a total weight of 30.00 (!!!) carats. If the £70K platinum price tag is a bit too much, go for the more affordable white or yellow gold versions of the handcrafted, custom-made Cleopatra, at £60,000 (gasp! again). If you want to take a peek, head over to The House of Borgezie website.